12 Commercial Real Estate and Properties in Yarra And Dandenong Ranges are listed in 4 categories. We have 9 Offices for Sale & Lease , 1 Development Lands for Sale & Lease , 1 Hotels and Leisure for Sale & Lease and 1 Retail Shops for Sale & Lease . Dedicated Receptionist | Prestigious Location | Modern Building $634pw | 7 Person Workspa..
PROPERTY OVERVIEW $634pw Price incl. Creative office space in bustling South Yarra. Price incl. Internet, rent, Electricity, Building Outgoings, All Utility Bills Flexible Terms Modern Fit Out Regular Cleaning 24/7 Access Dedicated Receptionist Modern Building Avail NOW for short or long term rent The Melbourne Como Centre is in the premium suburban district of South Yarra, 4km south east of Melbourne's central business district. The Como Centre is a prestigious complex which contains apartments, shops, restaurants, cinemas and a five star hotel. These offices are a perfect option for any small business. The advertised office space is perfect for a team of 7. If you need more or less space, we have over 30,000 furnished workspaces all over the world suitable for a team of 1 to 200+. Our award winning team offer a free service that will help you find the perfect solution for your needs, so reach out if you need more help. What you get for your weekly rent Furnished office with desks, chairs and lock up storage units Complimentary receptionist to meet and greet your clients Unlimited commercial grade internet service Electricity usage included Regular cleaning Telephone number & handset Prestigious business address to put on your cards Flexible terms from 1 month 2 years Ability to bring your existing phone number over 24 x 7 access to your office 24 x 7 security Office features Stunning views from selected offices Air conditioning in all offices Full mail management and postage Meeting and boardrooms available Signage board in foyer to highlight your business name Quality finishes and amenities throughout Server / Comms rooms available for server storage Building features Shower facilities on the floor Modern, high rise building High speed lifts Car parking in building and surrounding areas Dedicated on site management team 30m to Chapel Street Trams 200m to South Yarra Train Station 300m to the Yarra River Close to cafes, shops, pubs in fact everything! WHO IS OFFICE HUB? Office Hub is Australia & New Zealand\'s No 1 small office space commercial real estate agency. We have the largest collection of shared spaces, coworking and serviced offices in Australia & New Zealand, perfect for 1 100 employees. Let us take you on a tour of all the spaces that fit your needs and budget. Our service is complimentary and we work for you and the landlord to negotiate the most competitive deal in the market. Let us show you how shared and serviced offices can be the perfect solution for your business. www.office hub.com.au www.office hub.co.nz Conditions apply A portion of the square meterage factors in access to shared space. Price includes any incentives offered. This is for new tenants only. Creative Working Environment | Fully Furnished | Trendy Location $250pw | 2 Person Workspa..
PROPERTY OVERVIEW $250pw Price incl. Creative office space on Toorak Road in South Yarra with one car parking space. This beautiful workspace is shared with a photography business and offers up to six fully equipped workstations with bespoke furniture, high speed internet and 24/7 access. Newly renovated throughout, it has comfortable lounge areas, a small kitchen and a spacious free to use meeting room so you’ll feel right at home even when you’re working hard. Regularly cleaned and impeccably maintained, you’ll be proud to welcome associates and clients into this gorgeous office space. Flexible terms available now! The beautiful heritage building occupies a prominent corner in the heart of South Yarra, close to vibrant shops, cafes, galleries and the South Yarra Railway Station. If you love window shopping, antique hunting or relaxing with a great coffee, this affluent suburb will suit you down to the ground. It also offers easy access to neighbouring Richmond and Toorak where even more fashion, fun and food resides. This office sits in a long line of stunning historic buildings which projects a creative image in line with the office’s vintage styling – new clients will know what you're about before they even meet you. Trams run right past the office for easy transport links into the city. The advertised office space is perfect for a team of 2. If you need more or less space, we have over 30,000 furnished workspaces all over the world suitable for a team of 1 to 200+. Our award winning team offer a free service that will help you find the perfect solution for your needs, so reach out if you need more help. What you get for your weekly rent , 24/7 Access , 24/7 Security , Building outgoings included , Electricity usage included , Flexible terms , FREE use of the meeting rooms , Plug and play furnished workspace , Regular cleaning Building features , Boutique low rise buidling , Car parking Street (Free) , Company Branding at reception , Company branding in foyer , Creative space , Direct access to public transport , Heritage listed building , Retail and shopping malls nearby 50m to Myrtle Street / Toorak Road Tram stop (route 58) 290m to South Yarra Train Station servicing the following routes: Cranbourne, Pakenham, Frankston, Sandringham. 130m to South Yarra IGA X press 730m to Palace Cinema Como WHO IS OFFICE HUB? Office Hub has largest collection of shared office space, sublet office space, creative coworking office space and serviced offices, perfect for 1 200 employees. Let us take you on a tour of all the spaces that fit your needs and budget. Our service is complimentary and we work for you and the landlord to negotiate the most competitive deal in the market. Let us show you how shared and serviced offices can be the perfect solution for your business. www.office hub.com.au www.office hub.co.nz Conditions apply A portion of the square meterage factors in access to shared space. The advertised price includes any incentives offered based on a 12 month agreement. If a shorter period is agreed to please note the price may increase accordingly. This promotional offer for new tenants only and may be withdrawn at any time due to space availability. Regular Cleaning | Fully Furnished | Modern Building $1408pw | 12 Person Works..
PROPERTY OVERVIEW $1408pw Price incl. Creative office space in bustling South Yarra. Price incl. Internet, rent, Electricity, Building Outgoings, All Utility Bills Flexible Terms Modern Fit Out Regular Cleaning 24/7 Access Dedicated Receptionist Modern Building Avail NOW for short or long term rent The Melbourne Como Centre is in the premium suburban district of South Yarra, 4km south east of Melbourne's central business district. The Como Centre is a prestigious complex which contains apartments, shops, restaurants, cinemas and a five star hotel. These offices are a perfect option for any small business. The advertised office space is perfect for a team of 12. If you need more or less space, we have over 30,000 furnished workspaces all over the world suitable for a team of 1 to 200+. Our award winning team offer a free service that will help you find the perfect solution for your needs, so reach out if you need more help. What you get for your weekly rent Furnished office with desks, chairs and lock up storage units Complimentary receptionist to meet and greet your clients Unlimited commercial grade internet service Electricity usage included Regular cleaning Telephone number & handset Prestigious business address to put on your cards Flexible terms from 1 month 2 years Ability to bring your existing phone number over 24 x 7 access to your office 24 x 7 security Office features Stunning views from selected offices Air conditioning in all offices Full mail management and postage Meeting and boardrooms available Signage board in foyer to highlight your business name Quality finishes and amenities throughout Server / Comms rooms available for server storage Building features Shower facilities on the floor Modern, high rise building High speed lifts Car parking in building and surrounding areas Dedicated on site management team 30m to Chapel Street Trams 200m to South Yarra Train Station 300m to the Yarra River Close to cafes, shops, pubs in fact everything! WHO IS OFFICE HUB? Office Hub is Australia & New Zealand\'s No 1 small office space commercial real estate agency. We have the largest collection of shared spaces, coworking and serviced offices in Australia & New Zealand, perfect for 1 100 employees. Let us take you on a tour of all the spaces that fit your needs and budget. Our service is complimentary and we work for you and the landlord to negotiate the most competitive deal in the market. Let us show you how shared and serviced offices can be the perfect solution for your business. www.office hub.com.au www.office hub.co.nz Conditions apply A portion of the square meterage factors in access to shared space. Price includes any incentives offered. This is for new tenants only. Dedicated Receptionist | Fully Furnished | Modern Building $589pw | 4 Person Workspa..
PROPERTY OVERVIEW $589pw Price incl. Creative office space in bustling South Yarra. Price incl. Internet, rent, Electricity, Building Outgoings, All Utility Bills Flexible Terms Modern Fit Out Regular Cleaning 24/7 Access Dedicated Receptionist Modern Building Avail NOW for short or long term rent The Melbourne Como Centre is in the premium suburban district of South Yarra, 4km south east of Melbourne's central business district. The Como Centre is a prestigious complex which contains apartments, shops, restaurants, cinemas and a five star hotel. These offices are a perfect option for any small business. The advertised office space is perfect for a team of 4. If you need more or less space, we have over 30,000 furnished workspaces all over the world suitable for a team of 1 to 200+. Our award winning team offer a free service that will help you find the perfect solution for your needs, so reach out if you need more help. What you get for your weekly rent Furnished office with desks, chairs and lock up storage units Complimentary receptionist to meet and greet your clients Unlimited commercial grade internet service Electricity usage included Regular cleaning Telephone number & handset Prestigious business address to put on your cards Flexible terms from 1 month 2 years Ability to bring your existing phone number over 24 x 7 access to your office 24 x 7 security Office features Stunning views from selected offices Air conditioning in all offices Full mail management and postage Meeting and boardrooms available Signage board in foyer to highlight your business name Quality finishes and amenities throughout Server / Comms rooms available for server storage Building features Shower facilities on the floor Modern, high rise building High speed lifts Car parking in building and surrounding areas Dedicated on site management team 30m to Chapel Street Trams 200m to South Yarra Train Station 300m to the Yarra River Close to cafes, shops, pubs in fact everything! WHO IS OFFICE HUB? Office Hub is Australia & New Zealand\'s No 1 small office space commercial real estate agency. We have the largest collection of shared spaces, coworking and serviced offices in Australia & New Zealand, perfect for 1 100 employees. Let us take you on a tour of all the spaces that fit your needs and budget. Our service is complimentary and we work for you and the landlord to negotiate the most competitive deal in the market. Let us show you how shared and serviced offices can be the perfect solution for your business. www.office hub.com.au www.office hub.co.nz Conditions apply A portion of the square meterage factors in access to shared space. Price includes any incentives offered. This is for new tenants only. Refurbished Ground Floor Office In The Heart Of South Yarra $38,990 p/a + GST + outgo.. Beautifully Appointed Ground Floor Office In The Heart Of South Yarra $45,000 p/a + GST + Outgo.. 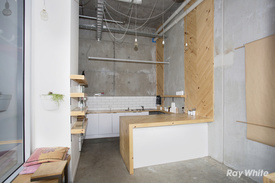 Leased - South Yarra Boutique Cafe/retail $13,500 p/a + GST + Outgo..
Creative Co-working Hub | Great Location | Excellent Lighting $480pw | 3 Person Workspa..
PROPERTY OVERVIEW $480pw Price incl. Creative and cool Co working space located in trendy South Yarra, VIC. Price incl. Internet, Electricity, Cleaning & Buildign Outgoings 24/7 Access Access to meeting and boardrooms Fully Furnished Workspace Pet Friendly This bright, friendly coworking space boasts a lovely shared working environment perfect for any small business. Located in South Yarra in close proximity to famous Chapel St and the numerous bars, restaurants and shopping outlets that line the street. This shared workspace is perfect if you want to be close to bike paths that run along the Yarra with gyms and train stations close by. End of trip facilities, postal facilities and an on site cafe are highlights of this funky space. The advertised office space is perfect for a team of 3. If you need more or less space, we have over 30,000 furnished workspaces all over the world suitable for a team of 1 to 200+. Our award winning team offer a free service that will help you find the perfect solution for your needs, so reach out if you need more help. What you get for your weekly rent Dedicated desks, chairs and storage Commercial grade internet Electricity included Building outgoing included Regular cleaning Access to shared meeting rooms Access to shared kitchen facilities Flexible terms 24/7 access Wi Fi Office and building features Air conditioning Dedicated Community Manager available Conference facilities available Postal facilities available Bike racks Shower facilities Street parking Dedicated mens and ladies bathrooms Cafe/restaurant on site Photocopying facilities 280m to the closest park 10 minute walk to South Yarra train station 400m to Chapel St Close to cafes, pubs, restaurants, shops in fact everything WHO IS OFFICE HUB? Office Hub is Australia & New Zealand\'s No 1 small office space commercial real estate agency. We have the largest collection of shared spaces, coworking and serviced offices in Australia & New Zealand, perfect for 1 100 employees. Let us take you on a tour of all the spaces that fit your needs and budget. Our service is complimentary and we work for you and the landlord to negotiate the most competitive deal in the market. Let us show you how shared and serviced offices can be the perfect solution for your business. www.office hub.com.au www.office hub.co.nz Conditions apply A portion of the square meterage factors in access to shared space. Price includes any incentives offered. This is for new tenants only. Coworking | Great Location | Excellent Amenities $320pw | 2 Person Workspa..
PROPERTY OVERVIEW $320pw Price incl. Creative and cool Co working space located in trendy South Yarra, VIC. Price incl. Internet, Electricity, Cleaning & Buildign Outgoings 24/7 Access Access to meeting and boardrooms Fully Furnished Workspace Pet Friendly This bright, friendly coworking space boasts a lovely shared working environment perfect for any small business. Located in South Yarra in close proximity to famous Chapel St and the numerous bars, restaurants and shopping outlets that line the street. This shared workspace is perfect if you want to be close to bike paths that run along the Yarra with gyms and train stations close by. End of trip facilities, postal facilities and an on site cafe are highlights of this funky space. The advertised office space is perfect for a team of 2. If you need more or less space, we have over 30,000 furnished workspaces all over the world suitable for a team of 1 to 200+. Our award winning team offer a free service that will help you find the perfect solution for your needs, so reach out if you need more help. What you get for your weekly rent Dedicated desks, chairs and storage Commercial grade internet Electricity included Building outgoing included Regular cleaning Access to shared meeting rooms Access to shared kitchen facilities Flexible terms 24/7 access Wi Fi Office and building features Air conditioning Dedicated Community Manager available Conference facilities available Postal facilities available Bike racks Shower facilities Street parking Dedicated mens and ladies bathrooms Cafe/restaurant on site Photocopying facilities 280m to the closest park 10 minute walk to South Yarra train station 400m to Chapel St Close to cafes, pubs, restaurants, shops in fact everything WHO IS OFFICE HUB? Office Hub is Australia & New Zealand\'s No 1 small office space commercial real estate agency. We have the largest collection of shared spaces, coworking and serviced offices in Australia & New Zealand, perfect for 1 100 employees. Let us take you on a tour of all the spaces that fit your needs and budget. Our service is complimentary and we work for you and the landlord to negotiate the most competitive deal in the market. Let us show you how shared and serviced offices can be the perfect solution for your business. www.office hub.com.au www.office hub.co.nz Conditions apply A portion of the square meterage factors in access to shared space. Price includes any incentives offered. This is for new tenants only. Trendy Location | Collaborative Space | Stylish Décor $160pw | 1 Person Workspa..
PROPERTY OVERVIEW $160pw Price incl. Creative and cool Co working space located in trendy South Yarra, VIC. Price incl. Internet, Electricity, Cleaning & Buildign Outgoings 24/7 Access Access to meeting and boardrooms Fully Furnished Workspace Pet Friendly This bright, friendly coworking space boasts a lovely shared working environment perfect for any small business. Located in South Yarra in close proximity to famous Chapel St and the numerous bars, restaurants and shopping outlets that line the street. This shared workspace is perfect if you want to be close to bike paths that run along the Yarra with gyms and train stations close by. End of trip facilities, postal facilities and an on site cafe are highlights of this funky space. The advertised office space is perfect for a team of 1. If you need more or less space, we have over 30,000 furnished workspaces all over the world suitable for a team of 1 to 200+. Our award winning team offer a free service that will help you find the perfect solution for your needs, so reach out if you need more help. What you get for your weekly rent Dedicated desks, chairs and storage Commercial grade internet Electricity included Building outgoing included Regular cleaning Access to shared meeting rooms Access to shared kitchen facilities Flexible terms 24/7 access Wi Fi Office and building features Air conditioning Dedicated Community Manager available Conference facilities available Postal facilities available Bike racks Shower facilities Street parking Dedicated mens and ladies bathrooms Cafe/restaurant on site Photocopying facilities 280m to the closest park 10 minute walk to South Yarra train station 400m to Chapel St Close to cafes, pubs, restaurants, shops in fact everything WHO IS OFFICE HUB? Office Hub is Australia & New Zealand\'s No 1 small office space commercial real estate agency. We have the largest collection of shared spaces, coworking and serviced offices in Australia & New Zealand, perfect for 1 100 employees. Let us take you on a tour of all the spaces that fit your needs and budget. Our service is complimentary and we work for you and the landlord to negotiate the most competitive deal in the market. Let us show you how shared and serviced offices can be the perfect solution for your business. www.office hub.com.au www.office hub.co.nz Conditions apply A portion of the square meterage factors in access to shared space. Price includes any incentives offered. This is for new tenants only. 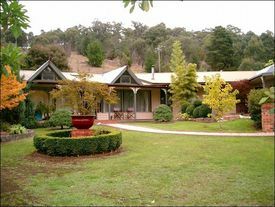 Accommodation Venue Or Health Retreat Rehabilitation Or Spiritual Centre Suit buyers under $1,600,.. This four star accommodation venue in heart of the Yarra Valley would suit: Accommodation operators Health service specialists Health and Spiritualist retreat Investors Property developers The key features are: In close proximity to all tourist attractions Six accommodation suites, all with spa baths, fires and air conditioning comprising of: Two studios with balconies overlooking the gardens Four King and Queen suites with every luxury in mind Guest swimming pool Owner/manager residence with separate driveway 2 acres approximately Conference facilities Consider an investment in the substantial and well maintained freehold or an opportunity to buy an established and known business and enjoy the profits.